Today on the Fake-n-Bake blog, I'm bringing you a casting project. This is a piece that I just did for the upcoming production of 'Faust' that I'm working on. 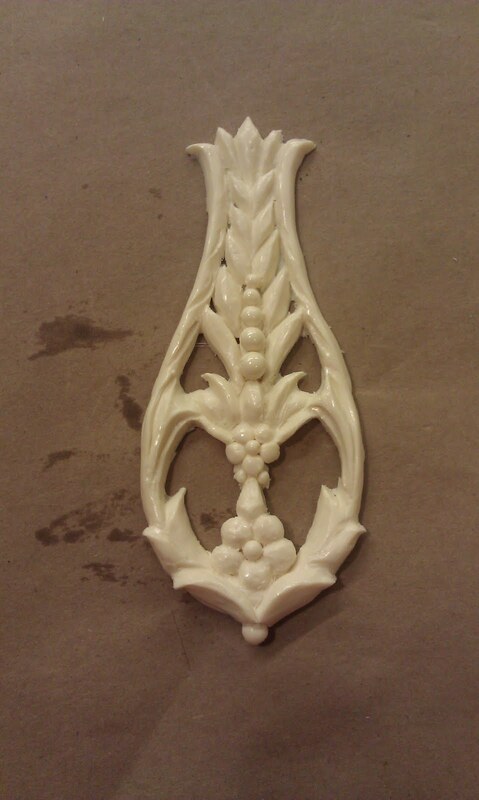 This little decoration will eventually be part of a mirror stand in a jeweler's window. 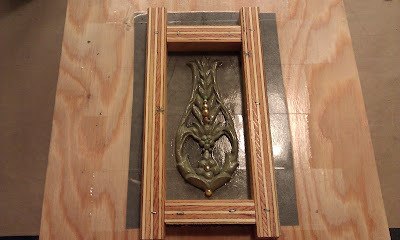 The first step was to draw out what I wanted to build, including the piece that I would sculpt and cast, in full scale. Once that was done, I made a copy of the drawing and taped it to a piece of plywood to use as a sculpting surface. I used modeling clay to sculpt the piece, with beads added for certain details. Once the sculpting was complete, I built a plywood frame around it to function as a mold box. I sealed the box and the clay with clear spray shellac. This is partly out of habit (sulphur clays inhibit urethane rubber cure, and I often use urethane) and partly just too add a layer between the mold and the positive. 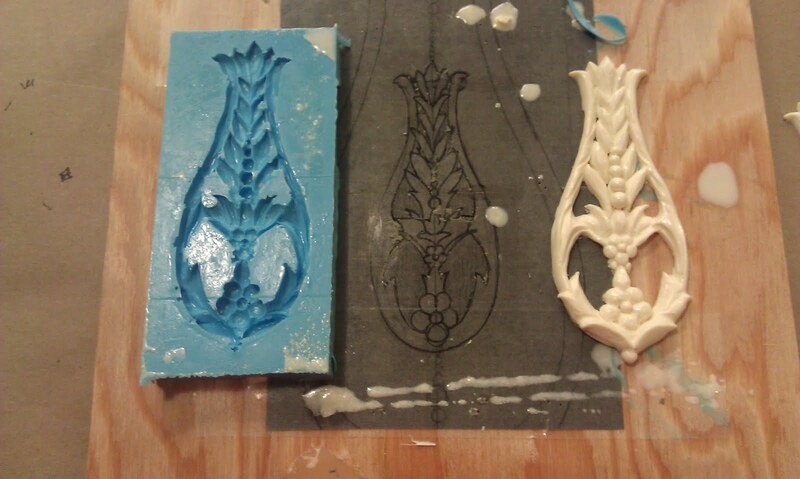 I used Tempo 30 silicone to make the mold. I haven't used this much, but it worked very well. To mix this product, you measure portions of catalyst and silicone together by weight, stir THOROUGHLY, pour, and allow to set overnight. Once the silicone had set, I demolded by removing the sides of the mold box, and peeling the mold off of the positive. 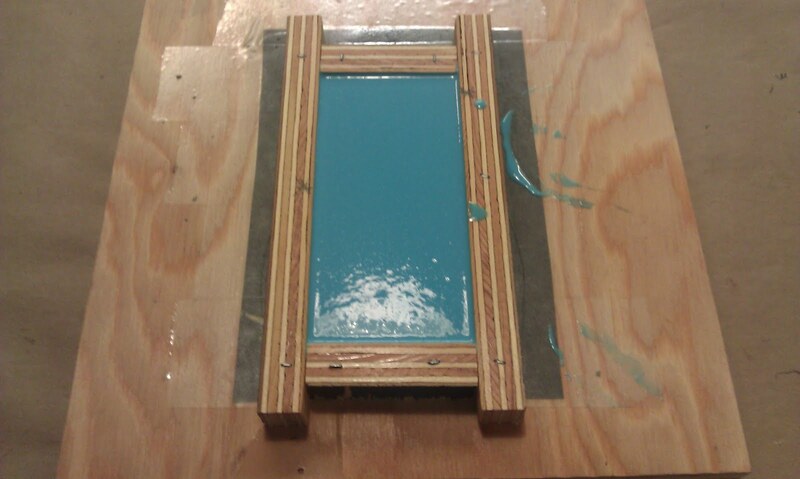 To cast the piece, I used universal mold release before pouring two part resin into the mold. It's always important to have a level casting surface, but especially when the piece is so thin like this. Once the piece came out of the mold, it was easy to trim away any excess bits of resin, and smooth any flaws. 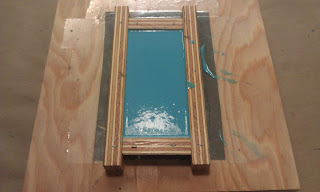 The resin will stay soft until it fully cures, so if I had wanted to, I could have bent it to fit around a round surface. TA-DA! Here it is. 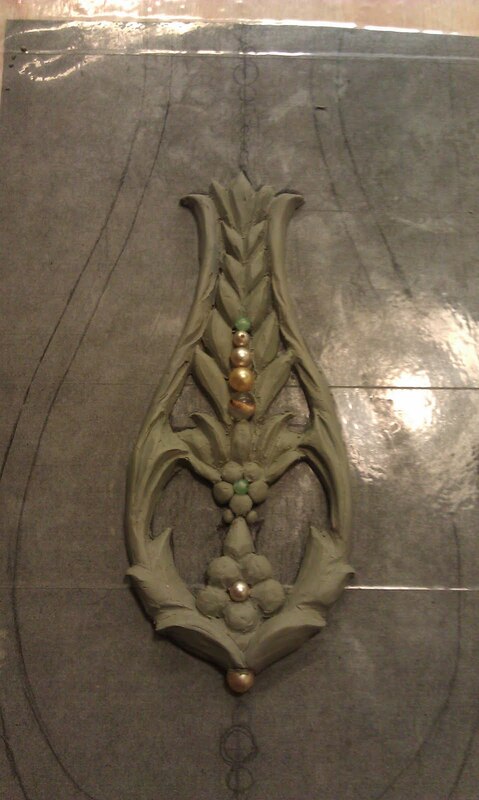 I'll try to post some finished photos when the whole prop is done.